Having studied in Grahamstown, I wanted to make a Paperight outlet thrive there. The conditions were perfect: Grahamstown is a small, relatively low-income university town. 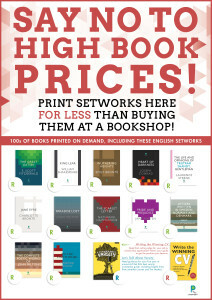 Money is low, and demand for books is high. In 2012, I made contact with Aloe X, the closest copy shop to Rhodes University, after the university themselves showed no real interest in adopting a pilot Paperight project of their own. I made contact with Aloe X the day after I travelled to Peddie for a research trip in May 2012. I handed them a business card, spoke to the manager Aletta, and reassured her that it was a free service. Despite good intentions, we only really started getting involved with Aloe X at the end of 2012, in preparation for the beginning of the 2013 academic year. I figured out a strategy whereby we would collect the set lists of books from the English literature and Classics departments, figure out which ones we had on the system, and then make posters and flyer designs to stick up at Aloe X and around Rhodes campus. At this point we found out that Aloe X had almost been closed down due to a spate of textbook piracy that ended in a visit from the police. Essentially, students would bring in books, the staff (without the owner’s or manager’s knowledge) would scan them and keep the files on their computer. Students could then get their textbooks printed immediately for R50–R100. Almost exactly the same as Paperight – but, you know, super illegal. The copy on our advertising, until then, had been quite tame. Seldom did we have provocative taglines that foregrounded the bad aspects of traditional bookselling, lest we upset potential partners. For this campaign we went with “Say NO to high textbook prices” and variants thereof. The campaign was successful in some ways and not so much in others. The idea and the tagline attracted a lot of attention – the shop had a dozen or so enquiries a day at the beginning of term. We seldom had the books they needed, however. We showed that there was a demand for cheaper textbooks and that students were interested, with minimal advertising and involvement. We just needed the books. 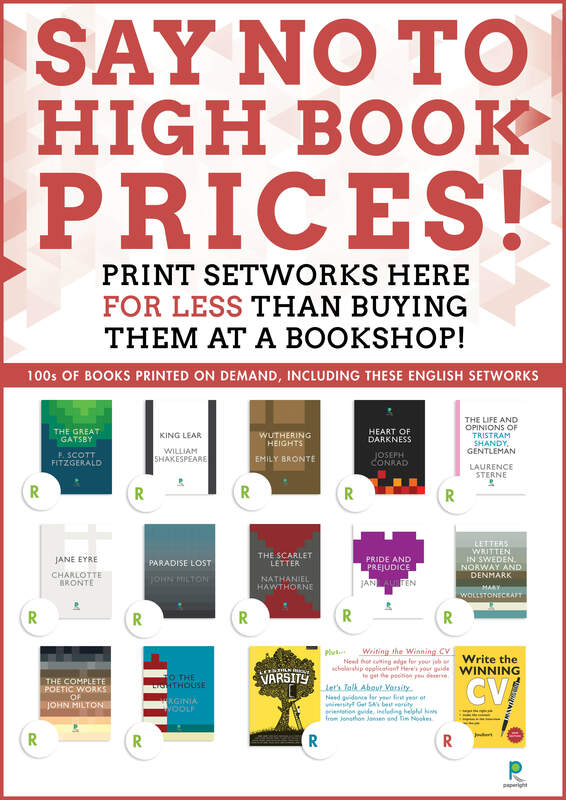 Since then, as our library has gotten bigger, Aloe X has been one of our stronger outlets – no doubt because of the fact that the town only has one academic bookstore, which, as academic bookstores do, charge extortionate prices.